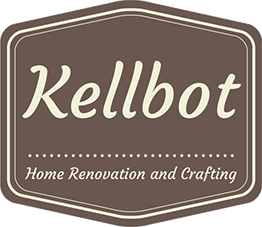 Recipe Roundup - Kellbot! | Kellbot! I’ve been cooking regularly for 9 months now! I’ve gotten considerably better at it, and my Evernote notebook has gotten fatter with go-to recipes. Here are links to some of my favorites. The texture is best the day they’re made, but they make a perfectly acceptable zap-it-and-run breakfast option. A good use of greens on their way out too. Gluten free. This crock pot recipe takes a fair amount of prep time in the morning, but once you get home it’s brain dead. I’ll swap in whatever vegetables I happen to have on hand, and usually keep cans of chickpeas and coconut milk on hand so Ic an make it with minimal planning. It’s a great way to eat your vegetables, and is both vegan and gluten free. This is sort of like an adult mac and cheese. It is another one of my default “use up random veggies” recipes. The two central ingredients, turkey and feta, both are easy to keep around. Turkey can be frozen and a sealed package of feta will be happy in your fridge for a few months. Gluten free. The sauce takes a little bit to make, but lasts a week or two in the fridge and makes for a good take-to-work lunch. Vegan and gluten free. You can sub in pretty much any greens if you don’t have carrot tops. Vegan and gluten free if you use gf corn tortillas. Falafel is kind of tedious to make but freezes well for another good lunch option. I pan fry or bake them instead of deep frying them. Gluten free if you use gf bread crumbs (I personally skip the pita anyway). These are good if, and only if, you’ve got some good fresh tilapia. I tried it with frozen tilapia and they were kind of gross. A healthier alternative to my usual “drown it in butter” style of cooking salmon. Requires a grill and a smoker box. Gluten free. Super quick dish. I was nervous because the fish sauce kind of smells like feet when you’re cooking, but the resulting dish is quite tasty. Gluten free. Honorable mention: Moo Shu Beef Lettuce Cups. I am really excited it’s now getting cool enough to think about baking again. This stuff is delicious. Another vegan and gluten free option. I confess this is not quite something I’m craving, but it has a really good healthy-to-delicious ratio. Take the leftovers for lunch and impress your coworkers with how healthy you are. What’s still surprising to me is how much planning I have to do in order to make it a week without going out for burgers. I’ve learned that if it’s 5pm and I’m exhausted I might still be willing to cook, but I’m definitely not willing to go to plan a meal, much less go to the grocery store for ingredients. And for this I have one final recipe, the pièce de résistance: Slow Cooker Turkey Chili. I keep the ingredients for this recipe on hand at all times for days when the fridge is empty (or worse, full of stuff that needs tossing). The turkey can be frozen, everything else is canned, and I can pick up an onion at the corner store (or skip it). In the morning, prep takes all of 10 minutes and in the evening I have delicious chili waiting. If you’ve got some favorite default-everyday recipes, share them in the comments! I’ve adapted the recipe a bit to better suit our tastes: I season the chicken with a spicy chili-lime seasoning, substitute a can of crushed fire roasted tomatoes for the Rot-Tel, and add in a small can of whole kernel sweet corn. It’s a pretty flexible recipe as long as you have enough liquid in there to cook the rice. I just made a version of the turkey veggie thing and it is so good! I can’t wait to take to work for lunch tomorrow!